Santa Monica is a community with a strong sense of place and a leader in the development of innovative planning approaches combining a concern for providing opportunities for a diverse population, while fostering pedestrian-scaled environments, sustainability, and preservation of the City’s character. Dyett & Bhatia prepared a comprehensive update of the City’s Zoning Ordinance to implement the award-winning General Plan Land Use and Circulation Element (LUCE) adopted in July 2010. In addition to implementing the LUCE, project objectives included improving the permit review process, and creating a user-friendly document and a regulatory structure to accommodate 21st century land needs. A major emphasis was on devising approaches to provide greater certainty to the community and applicants while allowing the degree of creativity needed to generate the quality of design the City wants. A key element was the formulation of regulations to implement policies allowing increases in height and floor area in exchange for community benefits. Before working on the zoning update, Dyett & Bhatia was involved in the extensive public participation effort that led to the LUCE’s adoption. 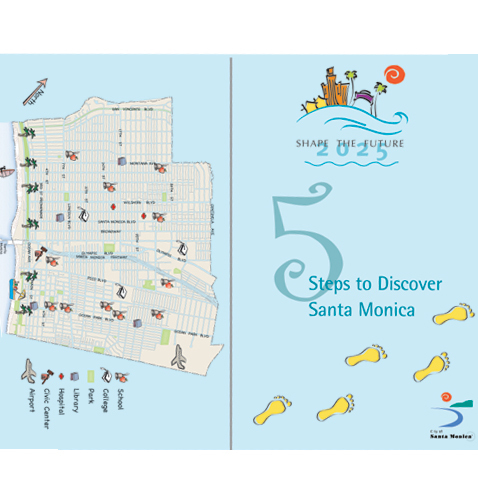 That program involved about 2,500 community members who contributed their ideas by attending workshops and forums, participating in the youth program, and providing comments through surveys, and mailings of “Discover Santa Monica Guidebooks” to every household in the city.